Vegan, animal rights activist, best known as “Miss Superfood” will be collaborating with Vegfest UK later this month, in a bid to help educate and inspire more people to try a compassionate vegan lifestyle. Miss Superfood, otherwise known as Jessica Michael, of Brighton, East Sussex, has almost 18 years experience of a vegan lifestyle. Originally going raw, vegan in 2002 to cure her Chronic Fatigue Syndrome, which left her bed bound at 18 years of age. Her recovery was so transformational that she went on to run the London Marathon in 4 hours and 15 minutes to celebrate her incredible, life changing, revived lease of life. 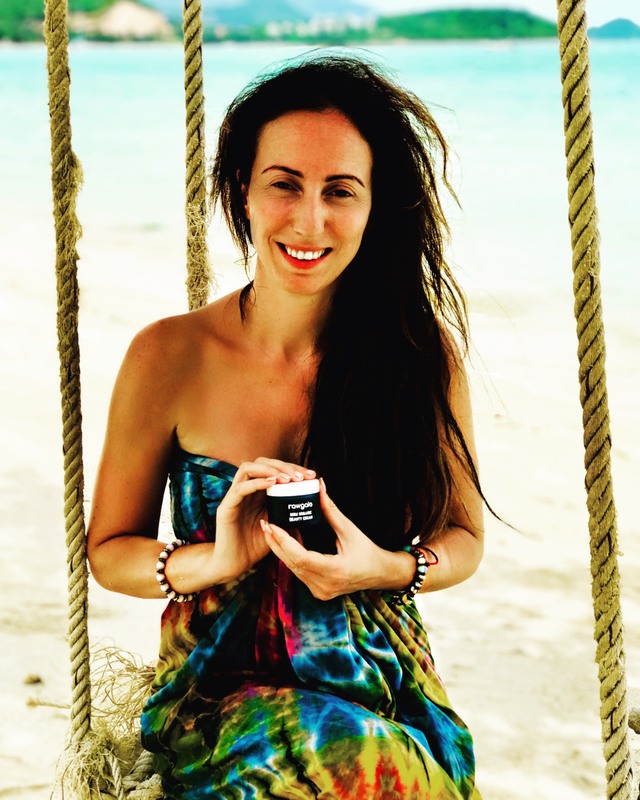 Fast-forward 17 years and Jessica is now the ethical owner of modern day vegan, cruelty-free, award winning skincare brand; Rawgaia Superfood Skincare. The published author of Jessica’s Raw Chocolate Recipes (Leaping Hare Press) and Raw Chocolate Treats (North Atlantic Books). And the mother of two very healthy vegan children. Jessica goes on to say; “This has been the best decision I have ever made. My health at 36 years of age is far better than it was when I was 18 years old, and I have lost and kept off over 2 stones in weight with little effort required. “Everyday Activism – How to go from armchair vegan to overnight activist,” where she will be showing and inspiring people on how to get more active in a multitude of ways, and informing participants of the wide range of different pro-vegan activities and animal rights actions that they can get involved with to help contribute to spreading the vegan message. Some of which are highly controversial. Jessica will be hosting a “Rawgaia Superfood Skincare Pamper Party” for VegFest attendees, which is a fun workshop whereby participants are guided, step by step through her organic facial ritual, using her award winning, natural, superfood skincare products. All Jessica's superfood skincare is certified by the Vegan Society, Cruelty-Free International and PETA. Furthermore, her Organic Goji Goddess and Hemp Glow ranges are certified by the Soil Association to COSMOS Organic standards. Jessica will be guiding the organic spa facial to help men and women reduce stress levels, learn self care techniques and understand the fundamentals of looking after their skin using quality, natural, organic, raw, vegan products. All of Jessica’s Rawgaia Superfood Skincare will be available for participants to try out and experience during the guided self-facial session. Rawgaia Superfood Skincare will be available on stand G2A, within the main hall of the 2-day festival. Vegfest UK is heading to Brighton next and celebrating it’s 10th year, on 23-24 March 2019 at The Brighton Centre. 11-6pm Saturday, 10-5pm Sunday. Products will range from the latest vegan meats, cheeses, chocolates, cakes, milks, alcoholic drinks, smoothies, juices, snack bars, superfoods, supplements, sauces, to clothing, footwear, bags, skincare, cosmetics, jewellery, magazines and more!